Dezignext Technologies provides more than 100+ Audio, BIM, CAD, Design, Graphics, Video, IT, Security and Professional Business Software training courses throughout Wilmington, DE. Whether you're looking for customized onsite Autodesk Revit Architecture Fundamentals training for a private group throughout the Wilmington, DE area or an instructor-led online Autodesk Revit Architecture Fundamentals class, Dezignext Technologies Learning has the solution for you. 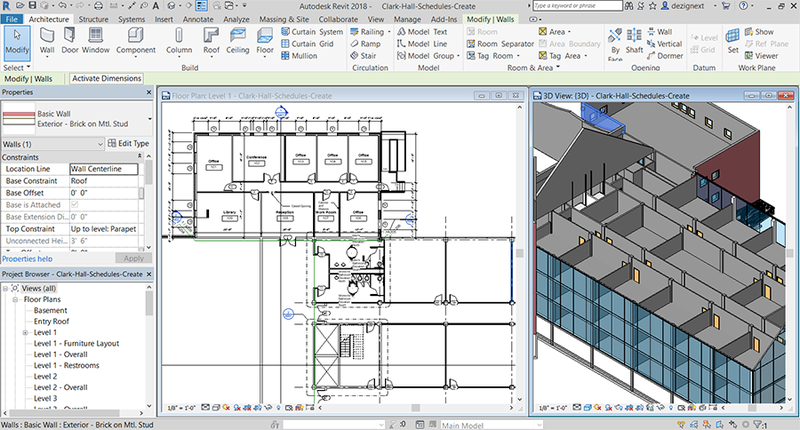 The Autodesk Revit Architecture software is a powerful Building Information Modeling (BIM) program that works the way Architects think. From Preliminary Design through Design Development, and into Construction Documents, the program streamlines the design process with a central 3D model. Changes made in one view update across all views and on the printable sheets. This training course is designed to teach you the Autodesk Revit functionality as you would work with it in the design process. You begin by learning about the user interface and the Autodesk Revit commands for design development followed by those available for construction documentation. Since building projects themselves tend to be extremely complex, the Autodesk Revit Architecture software is also complex. The objective of the Autodesk Revit Architecture Fundamentals training course is to enable students to create full 3D architectural project models and set them up in working drawings. This training course focuses on basic tools that the majority of students need to work with the Autodesk Revit Architecture software. Dezignext Technologies offers organizations in or around Wilmington, DE hands-on-intensive Autodesk Revit Architecture Fundamentals training and certification courses to empower you with the most recent tools and techniques for accelerating your career. Our certified trainers have years of experience in delivering comprehensive Autodesk Revit Architecture Training Classes to help you achieve high-end skills.